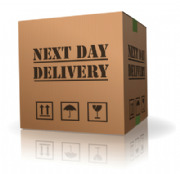 If the goods are not in stock we will despatch using a next working day delivery courier, as soon as they are in stock. All goods that are specified as in stock on our website are subject to prior sale. Which means that if there are orders received for the goods taking the full stock we may not have any stock left for subsequent orders. All orders placed by 1:00 pm on a working day for items that are in stock will be despatched the same day for next working day delivery. A working day is any week day excluding bank holidays and at least 5 days over the Christmas period. Most of the items on offer are normally in stock but are subject to prior sale. If the items are not in stock we will advise the delivery on receipt of the order and if that is not acceptable we will refund the money and cancel the order. You may cancel your order any time within seven (7) working days, beginning on the day you received the goods. We will refund the price of the goods in full, but will not reimburse you for the delivery. You will also be responsible for the cost of returning the goods to us which must be returned to us within 14 days of receipt. 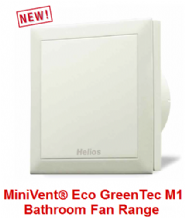 No unwanted goods will be accepted for credit after 14 days of delivery..
To cancel an order, you must inform us in writing at info@ventilationexperts.co.uk. You must also return the goods safely to us within 14 days of receipt, intact and in its original product packaging, and at your own cost and risk. In order to keep the product boxes in good condition for resale ie. they must be unmarked and packed in a suitable outer box . If you return goods under the warranty you must inform us before dispatch in writing at info@ventilationexperts.co.uk , We will examine and test the returned goods and will notify you when the replacement goods are being dispatched. Goods replaced which under warranty only carry the warranty of the original item. If a cancellation refund is payable to you we will process the refund as soon as possible and within thirty (30) days of the day you give written notice of cancellation or the receipt of the goods at our premises. Any other refund will be made within thirty (30) days of the day we advise the repayment is being made. For any refund payable to you, we will transfer the money using the same method originally used by you to pay for your purchase. If you have a query about returning goods or refund, please contact our customer services team at info@ventilationexperts.co.uk.